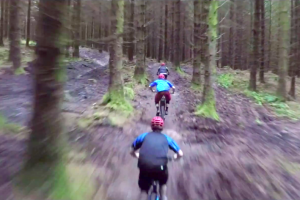 Bike Park Wales is still going strong after two full seasons of riding and it has released this awesome drone edit to celebrate an upcoming third. The park originally opened in August 2013 to mass acclaim but has not rested on its haunches. In the past three years it has opened Britain’s longest blue descent, hosted a round of the British Downhill series and expanded its uplift capacity. On top of this Bike Park Wales already has a women’s weekend planned on April 9/10 and more racing heading its way when summer starts. As such, 2016 looks to be the best season ever and if this video doesn’t inspire you to get on the booking website right away we have to ask what’s wrong with you? Our particular favourite shots are the ones where the drones track the riders through the trees. It must have taken some serious piloting to get them right. If this has inspired you to book yourself a Welsh adventure (it is St David’s day after all) then head over to the uplift booking page here.